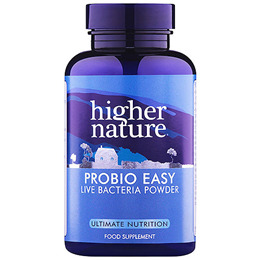 Probio-Easy provides friendly bacteria in convenient powder form to sprinkle on food, including Lactobacillus acidophilus and Bifidus infantis, longum, and brevis. Ideal for children or adults who don`t like capsules, and useful after infection or antibiotics, or as a healthy daily supplement. Maltodextrin, lactobacillus acidophilus (stabiliser: ascorbic acid, stabiliser: lemon grass, stabilisers: glutamines) (milk), bifidus infantis, bifidus longum, and bifidus brevis (milk). Does Not Contain: Sugar, salt, soya, yeast, lactose, artificial preservatives, colours or flavourings. Adults and children take 2½ to 5 level scoops a day, with water, juice or sprinkled on cold foods, or as your health professional advises. Does Not Contain: Sugar, salt, soya, yeast, artificial preservatives, colours or flavourings. Below are reviews of Probio Easy - Probio Easy - Ideal For Children - 45g by bodykind customers. If you have tried this product we'd love to hear what you think so please leave a review. 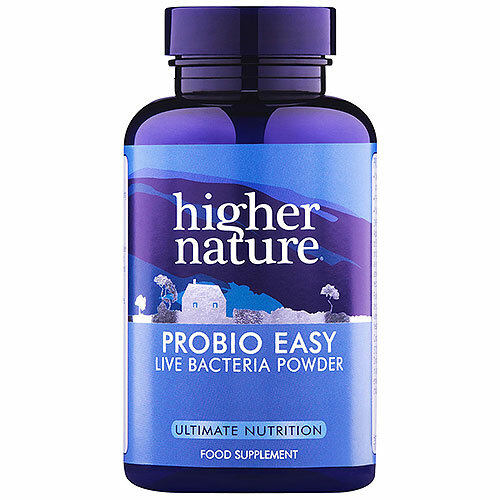 Probio-Easy provides friendly bacteria in convenient powder form to sprinkle on food, including Lactobacillus acidophilus and Bifidus infantis. Ideal for children or adults who don`t like capsules and useful after infection or antibiotics.